LG G6 RENDER: IS THIS HOW THE PHONE WILL LOOK? A source from Israel has revealed these renders. 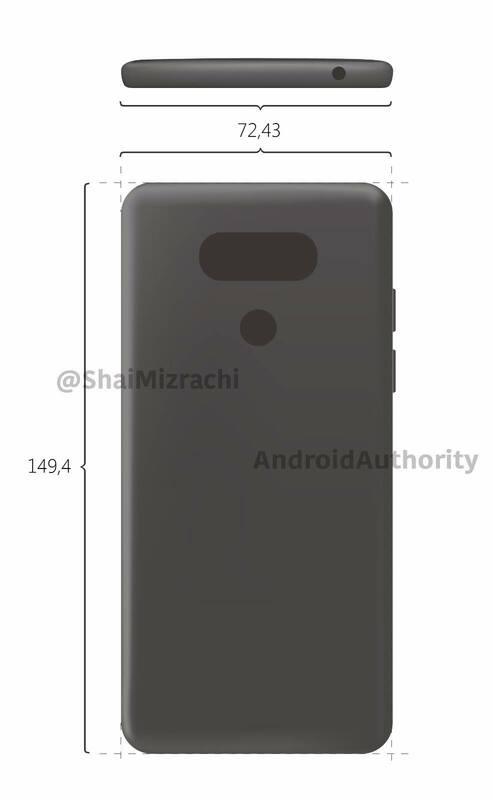 Now, the picture above is of the leaked LG G6 render. Well, I will say, it looks pretty much the same as G5. On the top, there is space for dual rear cameras and below that is the fingerprint scanner. Even the dimensions shown in the render is same as that of the G5. The height is same, and the width is 73.9mm. Interestingly, the leakster also said that the LG G6 is going to have a wider bottom part and slightly slim upper part. Did this hint that G6 will come with ‘Friends’ just like the G5? VOTE: POLL : Which Phone are You Waiting For in 2017? LG G5 came with a removable battery, but things are going to change now as the G6 will feature a non-removable battery. Luckily, the 3.5mm headphone jack isn’t going anywhere! Hardware is also going to get a slight change as the phone will come with a highly reflective metallic material on the rear. So, does this mean that LG will follow Samsung like design with Glass and Metal body? Some rumors have also revealed that the LG G6 will feature the Iris scanner technology, something we saw this year in the Note 7 ( A Moment of Silence…..).